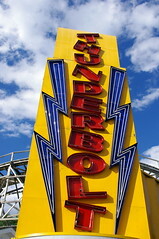 Ride the Thunderbolt - EXCELSIOR, YOU FATHEAD! 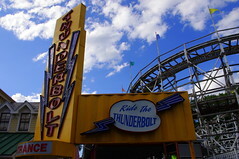 Thunderbolt, Six Flags England. 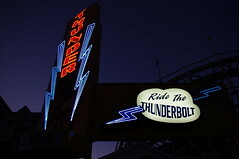 The coaster itself is in dire need of some tender loving care including a coat of paint, but they've preserved the original neon sign and better not touch it any time soon. 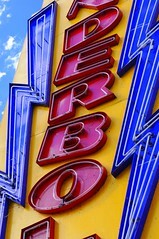 I have a set of the signage right here. 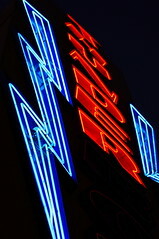 The "BOLT" letters were unfortunately burnt out but it didn't stop the rest of the sign from being beautiful.